Russian and Syrian warplanes did not launch airstrikes on an aid convoy that was attacked en route to Aleppo, the Russian Defense Ministry said. The ministry added that only the militants who control the area had information regarding the location of the convoy. “Russian and Syrian warplanes did not carry out any airstrikes on a UN humanitarian aid convoy in the southwest of Aleppo,” Defense Ministry spokesman Igor Konashenkov said in a statement Tuesday. The Russian Center for Reconciliation said that it had used drones to accompany the convoy because its route passed through territory controlled by the rebels, but only to a certain point. "Around 13:40 Moscow time (10:40 GMT) the aid convoy successfully reached the destination. The Russian side did not monitor the convoy after this and its movements were only known by the militants who were in control of the area,” Konashenkov added. The Defense Ministry spokesman said that the Russian military had been looking at video footage from the scene and that there was no sign of the convoy being targeted by shells or an airstrike. The Red Cross said that at least 20 civilians and one aid worker had been killed after what the organization believed was an airstrike struck the 31-truck convoy. The aid worker was identified as Omar Barakat, the director of a sub-branch of the Syrian Arab Red Crescent (SARC), which was helping with the delivery of aid intended to reach rebel-held areas of Aleppo. “Today, the Red Cross and Red Crescent is in mourning. In solidarity with the Syrian Arab Red Crescent, we are calling on the international community to ensure the protection of humanitarian aid workers and volunteers. We are not part of this conflict,” Tadateru Konoe, the president of the International Federation of Red Cross and Red Crescent Societies (IFRC), said in a statement. 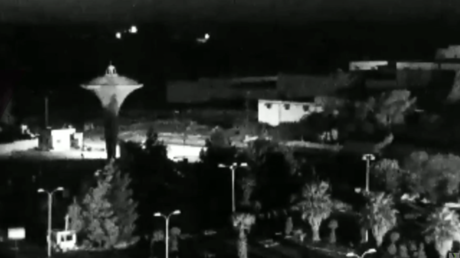 On Tuesday the United Nations has reversed allegations that its aid convoy in Syria was the target of an airstrike. "We are not in a position to determine whether these were in fact airstrikes. 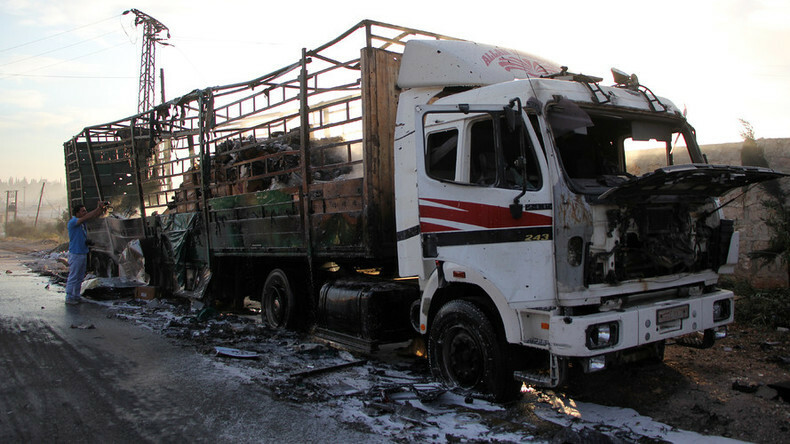 We are in a position to say that the convoy was attacked," UN humanitarian spokesman Jens Laerke said. Benoit Matsha-Carpentier, the head of communications at the IFRC, spoke to RT and said there has been a loss of life, but it is difficult to understand fully what has happened. 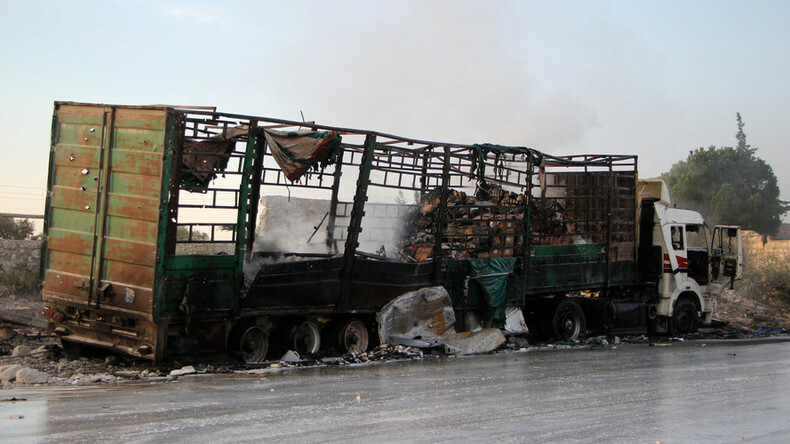 The SARC said it would suspend aid deliveries in Syria for three days in protest at the airstrikes on the convoy. Meanwhile, the UN said it will be suspending all its aid convoys while the security situation in Syria is assessed. "As an immediate security measure, other convoy movements in Syria have been suspended for the time being pending further assessment of the security situation," UN humanitarian aid spokesman Jens Laerke said. 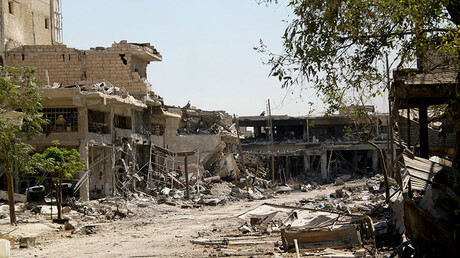 He added that the UN had received permission from the Syrian government to deliver aid to all areas of the country. The International Committee of the Red Cross (ICRC) is also postponing an aid convoy that was to deliver supplies to four besieged Syrian towns. Earlier, the Kremlin said it was assessing the situation, while Vladimir Putin’s press secretary, Dmitry Peskov, said it would be incorrect to make hasty conclusions when trying to apportion blame. “I do not think it is possible and correct to make unfounded conclusions. At the moment, our military is checking information regarding the airstrike and I hope they are getting concrete information from first-hand sources that were present in order to present their own findings,” he said. Peskov also pointed out that terrorists from Jabhat Al-Nusra (Al-Nusra Front) had been firing rockets at areas under the control of the Syrian government. “We know that the Syrian armed forces, who for the whole week have been the only party to have kept to the terms of the ceasefire, had to respond to this offensive,” he said. 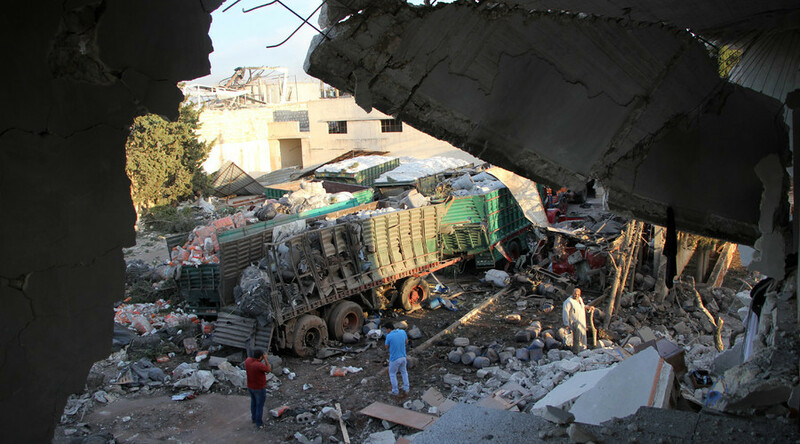 Washington was quick to blame Russia for the attack on the aid convoy, even if Moscow’s planes were not involved, as it had responsibility for controlling Syrian government forces under the terms of the ceasefire agreement. “The destination of this convoy was known to the Syrian regime and the Russian Federation and yet these aid workers were killed in their attempt to provide relief to the Syrian people,” US State Department spokesman John Kirby said in a statement. “The United States will raise this issue directly with Russia. Given the egregious violation of the cessation of hostilities we will reassess the future prospects for cooperation with Russia,” he added. For its part, Russia’s Foreign Ministry has issued a statement, accusing Washington of attempting to draw attention away from the US-led coalition’s fatal “mistake” from last week, when it repeatedly struck at Syrian government positions, killing over 60 troops and injuring over 100 people. “Such unfounded, premature accusations, among other things, are designed, as it seems, to turn attention away from a strange “mistake” made by the pilots of the US-led coalition on September 17, when its warplanes were bombing the positions of the Syrian government forces near Deir ez-Zor,” the statement reads. Political commentator John Wight told RT that it was hypocritical to blame the Russians, adding that Washington has constantly rejected Moscow’s requests to share intelligence regarding the location of militants. “Clearly we are seeing a pattern where any civilian target that is hit in these airstrikes is automatically blamed on Russia or Syria and never on the US or its allies,” he said. “It is deeply, deeply hypocritical of the Americans to blame the Russians when they have been denying cooperation with Russia, who has been calling for cooperation throughout this conflict, in order to target the rebels,” he added.